Awarded the hosting right for the 2018 ITTF Africa Top 16 Cup a year ago, the man who carried the burden of responsibility to make theory reality was Andrew Mudibo, the President of Kenya Table Tennis Association. Throughout the preparation he was always positive; he believed in the venture. On Sunday 3rd March when play in the three day tournament had concluded, for Andrew Mudibo there was great sense of satisfaction; the tournament being the first such event since Nairobi hosted the Men’s World Cup in 1989. How do you describe the staging of the tournament after 29 years of hosting an ITTF event? For Kenya the staging of the tournament was long overdue. We needed to host a major event, so that it can help the sport to have visibility locally and at the same time expose more of our players who have never had an opportunity to feel the real atmosphere of a competitive event. It was a great relief for all of us when the first match kicked off. We knew that we had pulled it off; we had spent a lot of time planning for the event. What are the challenges of hosting the tournament? Always 90 percent is the financial part if you are to host a successful event. The next challenge that you encounter is having the correct manpower in strategic positions within the tournament set-up that will be able to deliver without supervision. The final challenge is obviously getting the visibility and crowds or fans coming in to watch the event and the logistics of everything that involves the hosting of the tournament. What impact do you think the hosting of the competition will have on table tennis in Kenya? The ITTF Africa continental tournament gave Kenya another opportunity to be able to pick up the pieces that it had left behind when it used to be a regular host of both continental and international table tennis events. The good coverage that we had in all the media including social media was very good for the sport and I believe the time has come for Kenya to run a serious junior development programme that should see one of our players being ranked in the top ten within the next ten years. What level of support did you get from Kenyan government? The Kenya Government came in strongly and offered good support to ensure that we hosted an event that will go down in history as being well organised. On the first day we saw senior Government officials led by our Sports Minister, Rashid Achesa and his Principal Secretary Ambassador Kaberia coming to officially open the event. It was a good opportunity for the people at the top to know more of our lovely sport. One thing I would like to mention is that on Tuesday 27th February, the tables that were to be used were far off at the port city of Mombasa but miracles do happen and to show you the seriousness of how the government took this event, the goods were escorted by the police up to Kasarani Indoor Gymnasium, the venue of the tournament. The government put up a strong security overlay at the official hotel for the participants, on the roads that led to the playing arena and also at the arena itself. This I would say was a major operation involving the security forces who worked professionally and were not noticed by many. It enabled a smooth ride for all. What roles did private sector play in the success? The private sector came in strongly in both cash and in kind also by ensuring that they provided items that would be useful for the running of the event. Many of them reduced considerably their charges of what we were required to pay; this was a welcome relief to us. The next leg of our journey is very important, we must have the private sector supporting our development programmes. The organisation of the tournament seems to be without hiccups and how were you able to put the energetic and creative team together? To say the truth just like any major event, hiccups will always be there but what is important is how do you handle them? I had a strong team behind me, that were experts in different areas and this is what made the event be what it is. After months of planning, we sent out an appeal for volunteers to be part of the tournament and we got a total of 150 who applied but we reduced the number to a team of 50, who we seconded them to the sections that were being run by professional experts for them to direct the volunteers. This worked wonders and every evening after the last match we had a meeting of all volunteers and we would review the day’s activities, so that we could correct anything that did not go the way we wanted. The daily meetings created a special bond between the officials and volunteers and everyone gave their best. What impression do you think this success will have on Africa in terms of hosting major events in the world? I believe, the Nairobi event is just the first step that Africa is taking in hosting serious events that will in the not too distant future challenge other major events being held round the world. As a continent we have seen the worst events and the best ones and now it is time for us to have a standard brand that we can be able to build on. What are the lessons the Kenya Table Tennis Association took away from the tournament? Lessons never die. We learn everyday new things and as usual we want to be better the next time than how we were. From the tournament itself, we realized that when hosting a major event, planning must start even one year in advance. Our players must also be well prepared so that they can be part of the magnet that pulls the home fans into the playing arena. During the tournament, we organised a Women in Sport conference, which was so successful that it even attracted participants from outside Kenya, who just came for the conference and not the tournament. This has made us to be wiser that, you can always create side events to run with the main event so you create more value for the tournament. In this case we did manage to create a product that we can now build on to assist us in laying down our legacy for table tennis in Kenya. The third event that we had was a media seminar of journalists from different regions of Africa, who were taken through the various tasks of reporting on table tennis by our very own Africa Table Tennis Federation, Media Officer, Olalekan Okusan and just before the tournament an ITTF/PTT Level Level One coaching course that was conducted by Ahmed Dawlatly the father to our competition manager Mohamed Dawlatly. It was a special moment for us to have two senior officials of the ITTF who were directly related being hosted by Kenya. What is your advice to any African country willing to host major events on ITTF calendar? My advice is that each and every area must seriously be looked at. Events are not cheap to host but with proper planning and a dedicated team, it will be easy to host major events anywhere. How do you think ITTF can assist African countries to stage such a tournament? The introduction of competition managers has really helped in setting standards for all major international events and this is an area which ITTF should continue to invest in especially in Africa. 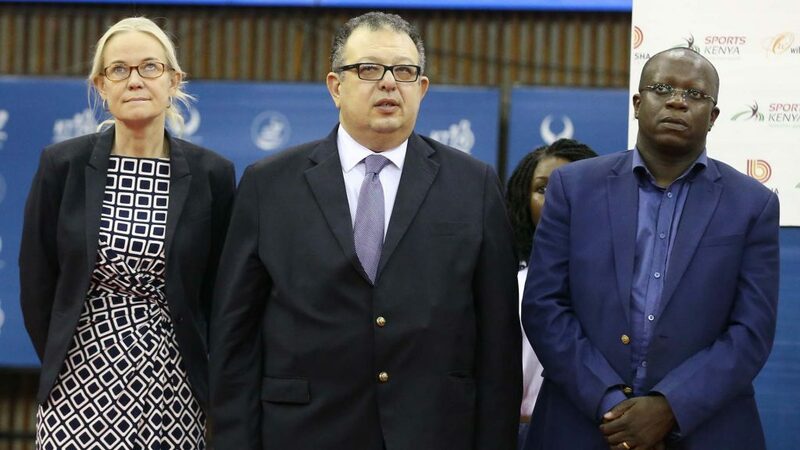 The Nairobi event proved that Africa can be able to produce first class television production and this is an investment that ITTF must take for Africa so that our events are either televised or streamed to the world. Only then will table tennis be bigger everywhere and this way we shall be able to compete with other sports for honours. How much efforts were put to stage a smooth competition? We had a flow chart of management and a strong team of young volunteers, who worked to ensure that the name of Kenya was held high. Everything was re-looked over and over again by different teams, so that we do not miss out on anything. How did the staging of the tournament help push up the image of Kenya despite political challenge bedevilling the East African nation? Many at times, the news that gets picked by international media is not what is happening in the whole country. Like any other country in the World we all have our bad moments but with the hosting of the ITTF Africa tournament that was beamed to the rest of the world and also the holding of the tournament without any major security incident, it shows that Kenya is really safe. Kenya’s image is good and we do thank God that as a Country we are together and it is important that sports continues to unite the whole world and not just Kenyans. As a country we shall continue to host events not just table tennis but all sports as we host the global sports village. What is your impression of the final matches of the competition? I loved both the men and women finals especially the match between Omar Assar and Quadri Aruna. This was a quality match that many would only dream of watching and it brought out the excitement in the fans that was present. The match would have gone either way but Omar Assar carried the day. In terms of television production, the event was well watched across the world and which organisation out this together and how were you able to convince them to do that? For you to have a good event that is broadcast you must have a reputable production company to do the broadcast. In this case our work was cut out as ITTF forwarded to us the television requirements which made it easy for the production company to apply. Here I would also like to appreciate the ITTF media team led by Matt Pound who produced a very fantastic event promo that we used in pushing the interest and anticipation of the tournament. We worked with Miracle Eye Productions, which is a Kenyan based company that has done work for Supersport, Kwese, among others and we would always have meetings with them and discussions with the ITTF media team so that we could be able to have the best in production and I think this really helped. Also, the Kenya Table Tennis Association invited five young orphans from Uganda as part of the cultural exchange and learning as we did not just want to leave a legacy in Kenya but throughout the region and the continent. We ran the legacy journey was Slum Ping Pong. The three boys and two girls really enjoyed the event and this to us is what sports should all be about.